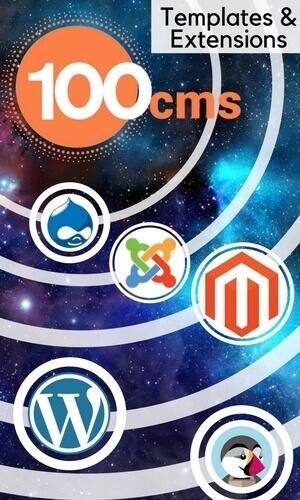 In this article we will take a look at importing books from a Full XML file into Book Library. This can be from a Full XML Export you did earlier. The Full XML Import will contain all books and categories, but before import it will delete the existing Book Library tables, so be careful when using it. What does the Full XML Export function say? This subsequent import will overwrite ALL existing entries, so be careful when using it! If the user who wrote the original book review does not exist anymore, the review will be assigned to "Anonymous"
What does the Full XML Import function say? This option will overwrite ALL existing entries, so be careful when using it! If the user who wrote the original Book Review does not exist anymore in the system, the Review will be assigned to "Anonymous"
Go to Components -> Book Library -> Import/Export and choose the Import tab. You do not have to choose a Category to import into since this import type will contain all Categories as well. Next use Browse to point to the Full XML file of your choice (.dat file extension). Then click the Import Books button on the top bar. Click Back in the top bar to return to the Import/Export page, or go to Components -> Book Library -> Books to go to the Book Manager window. You will see the books you have just imported. 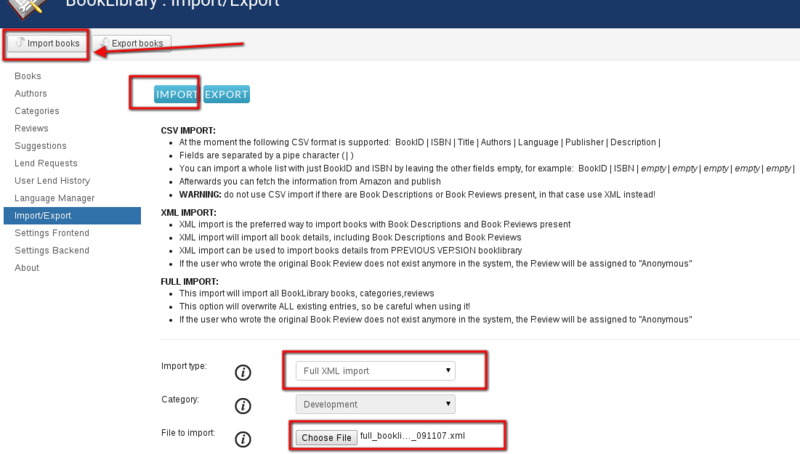 The published or unpublished information for the books will be EXACTLY like it was specified in the export file from the time the export was made, so you may want to double check that information. 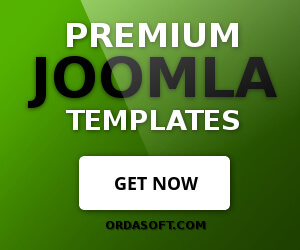 You will also see in Categories that all Categories in Joomla Book Library have been restored. Note: If you are not seeing the import results immediately, you may need to log off and then log on again to see the results. The import was actually successful, but since MySQL Tables Import is a rather extensive operation, it may need this log off then log on again action before showing the results on your screen.